Budgeting is something Bank of Luxemburg discusses with customers on a daily basis. We agree with this recent article from the Community Bankers of Wisconsin on the same topic. 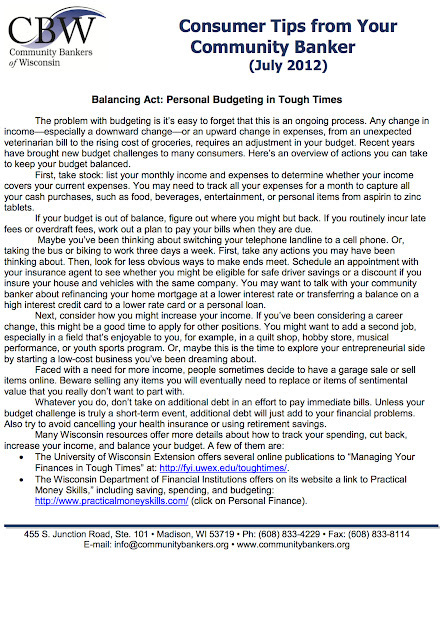 From unexpected veterinary bills to changes in career, budgets should be looked at thoroughly and regularly. 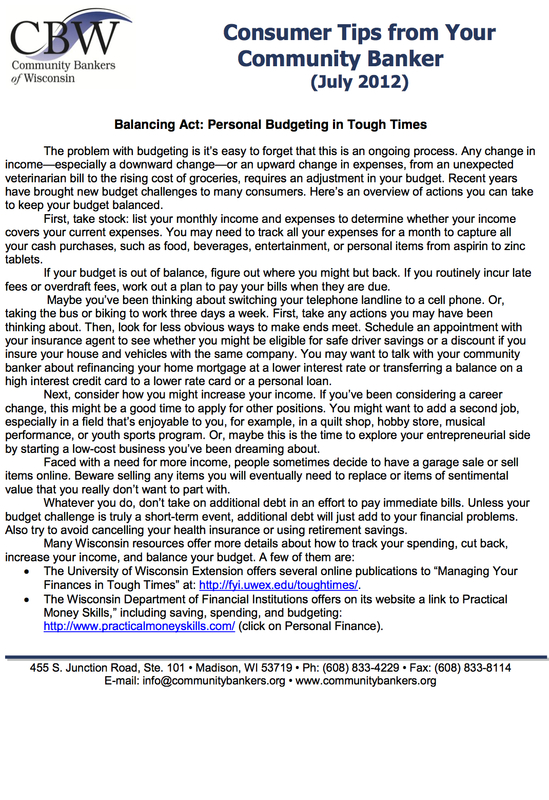 The CBW takes a thoughtful look at budgeting with great suggestions and helpful online resources.